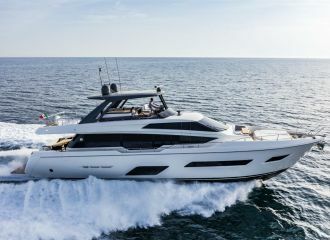 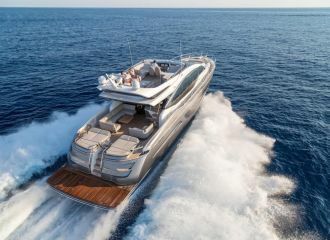 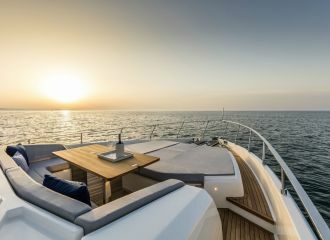 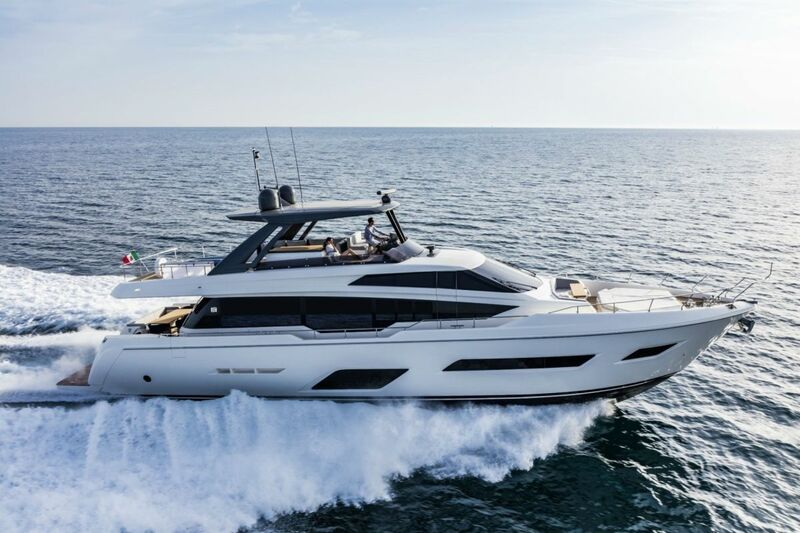 Delivered by Ferretti Yachts in 2018, this Ferretti 780 yacht is now available for a south of France yacht rental. 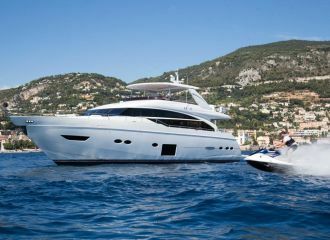 The 24m Ferretti is a great flybridge yacht boasting plenty of sunbathing and lounging areas. 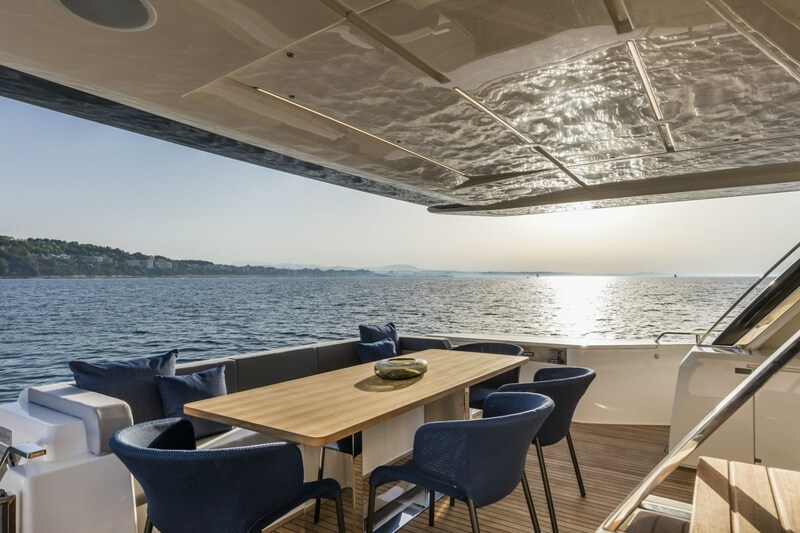 The aft deck features a lovely alfresco dining table. 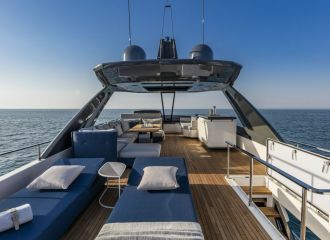 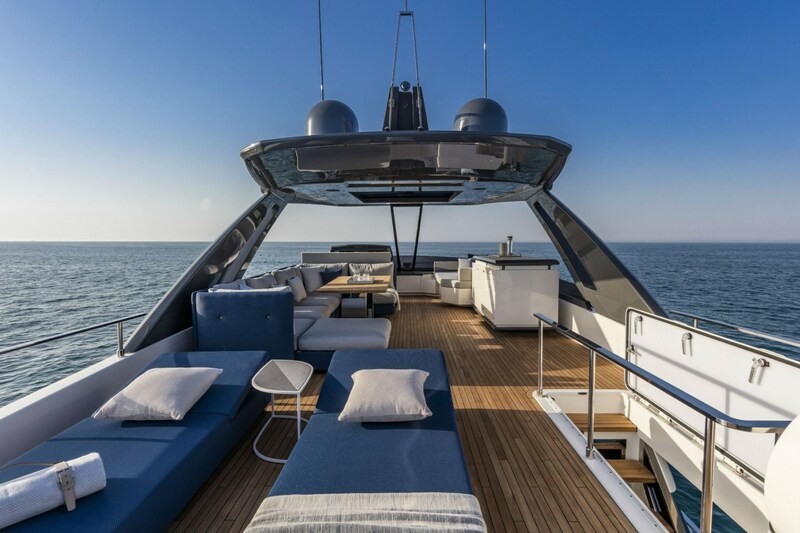 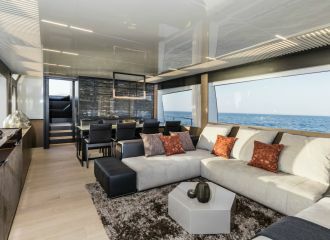 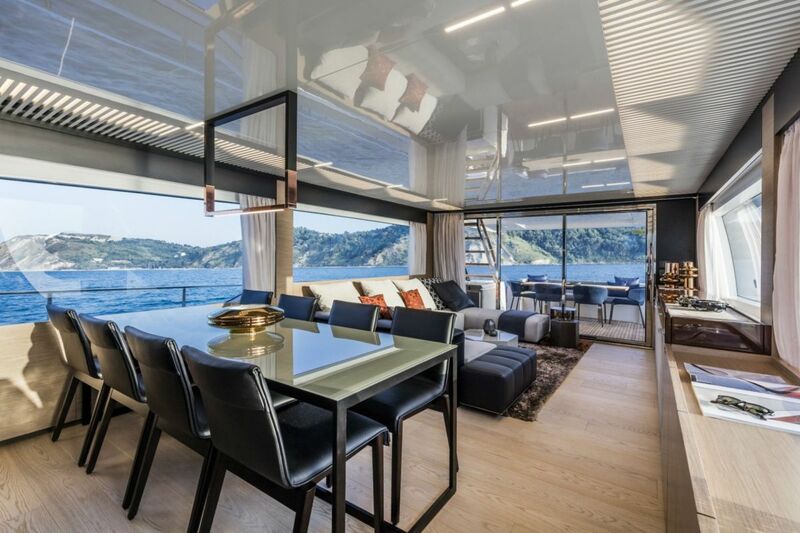 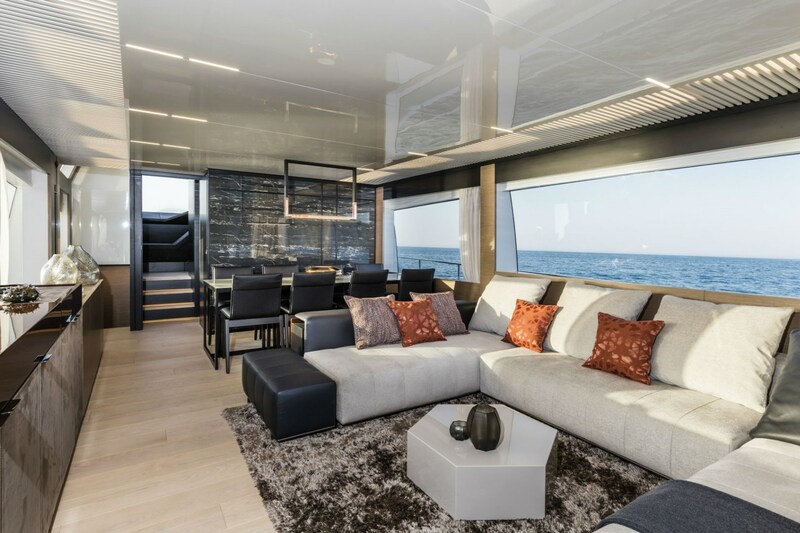 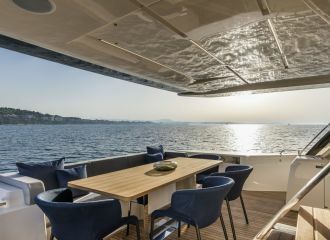 Forward, charter guests will find a large sunpad along with a seating area and small table idea for evening drinks during a French Riviera yacht rental. 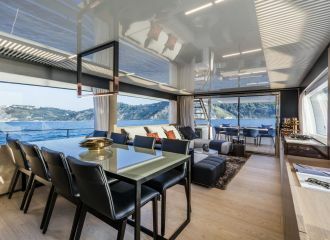 The flybridge offers another alfresco dining option as well as a lounging area and sunpads. 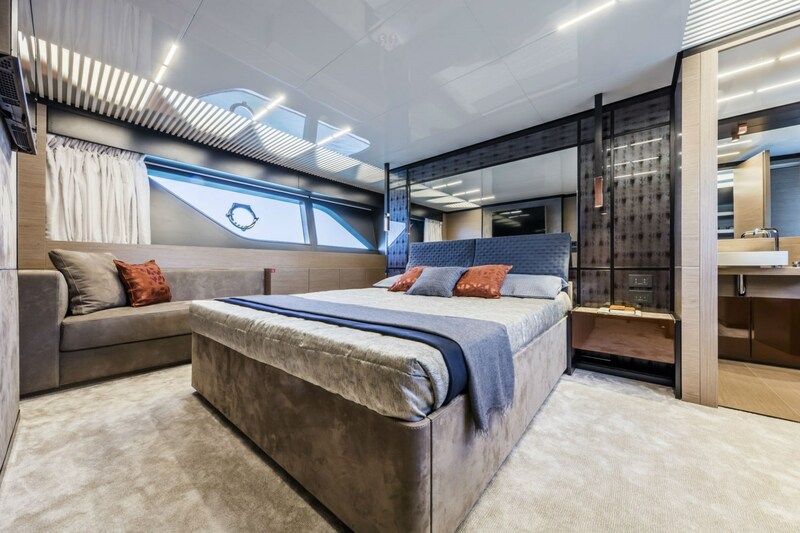 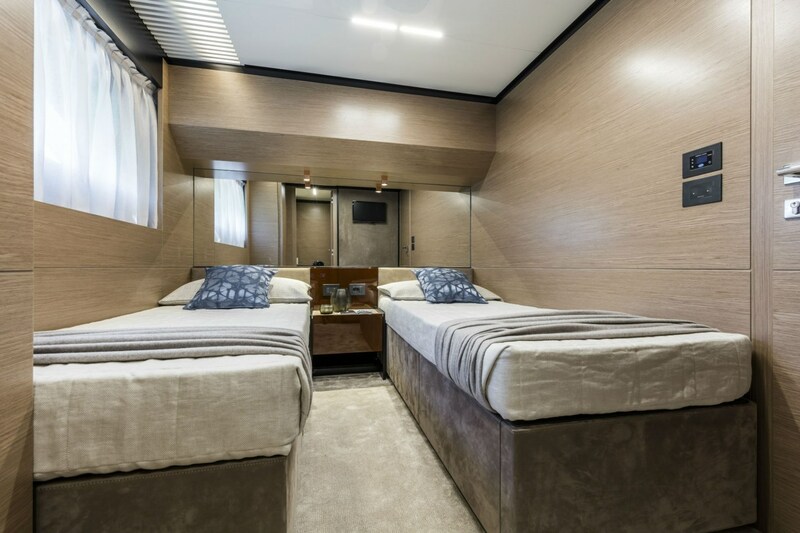 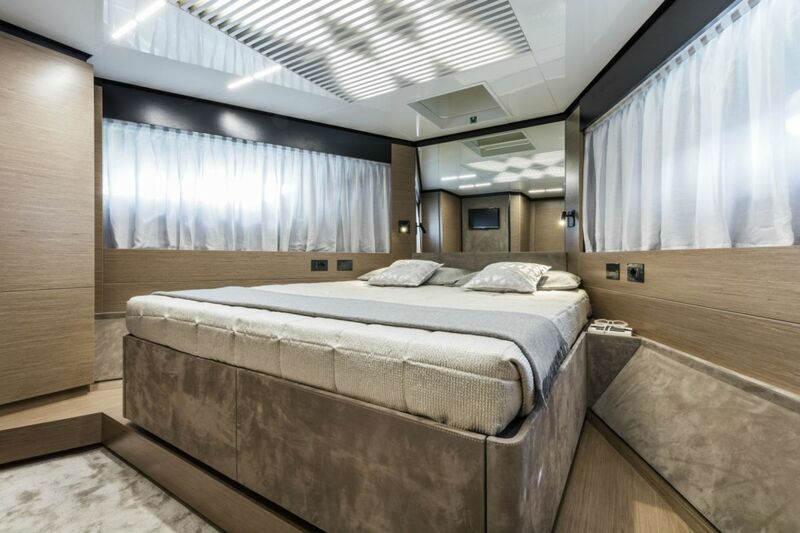 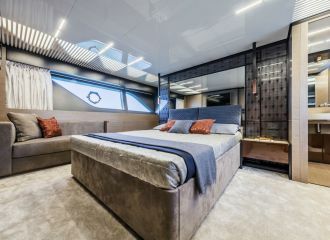 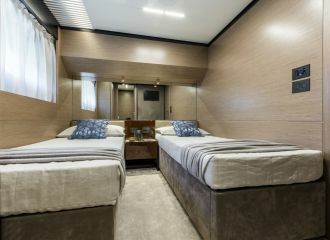 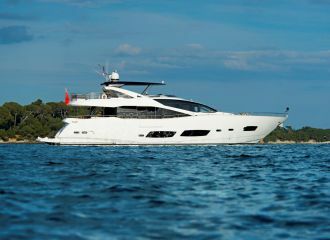 This Ferretti 780 yacht provides accommodation for up to 8 guests in 4 cabins. 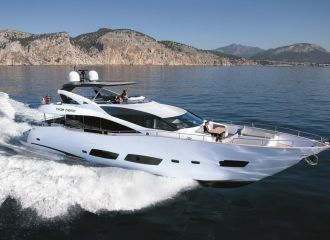 total 8333	€ Excluding VAT and APA ?